There is a huge difference between a healthy respect for someone’s significant accomplishments, and outright hero worship. Some folks manage to confuse the two. Thankfully, Curt Sampson is not one of them. Sampson is a former touring professional and current golf writer, with several myth-fracturing books to his credit. 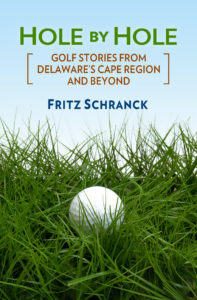 These include a study of the British Open, a thoughtful biography of Ben Hogan, and a history of The Masters Tournament that did not stick to the preferred script of some members of Augusta National. This year marked the 75th anniversary of Bobby Jones’ Grand Slam, the string of four major tournament victories in 1930 that has never been equaled. Once again, Sampson maintained his respectful but clear-eyed approach to his subject matter, and produced yet another fine golf history in The Slam: Bobby Jones and the Price of Glory, (Rodale, $24.95 SRP). One would think that finding a fresh approach to this well-trod storyline would be a challenge. When Tiger Woods made his run at the modern-day Slam a few years ago, sportswriters went a bit nuts with the hypothetical comparisons and look-backs at Jones’ feat. Every telecast of The Masters also includes some reference to the Slam, and with good reason—Jones would have never been able to join with others in creating Augusta National and its major event without these four victories. Sampson’s analysis centers on showing how Jones’ experience in 1930 made him a unique path-maker for his time. Jones was among the first accomplished athletes of the modern era who was able to cash in significantly on his sporting performances. The movie shorts Jones made after his Grand Slam, in partnership with Warner Brothers, brought him and his family sudden and significant wealth. For a young man whose academic and working career was as checkered as his golfing talents were stunning, this must have felt like the modern-day equivalent of hitting the Powerball lottery. As Sampson also shows, some way of converting his amateur accomplishments into a family fortune was never really far from Jones’ mind, well before he started on his quest to win all four majors in a single year. Jones had some significant advantages, in addition to his undeniable talent for the game. He had a privileged childhood, similar to many others competing in the major amateur events of his time. In addition, he received the advice and counsel of O.B. Keeler, the Atlanta Journal writer who served as Jones’ unofficial press secretary and public relations advisor. Keeler’s guidance surely assisted Jones’ transition from the petulant, club-throwing teenager in his early competitive years, to the smooth media manipulator he became as a young adult and champion. In any event, before Jones could figure out how to leave competitive golf behind for greener pastures, he first had to win the two Amateurs and the two Opens. For these passages, Sampson relies upon contemporary newspaper stories, Jones’ own published accounts, and current recollections from those who knew or were related to the participants. Sampson also played each of the four courses used in the 1930 majors as part of his research. There’s no direct reference to that fact in the book, but some shot-by-shot descriptions and strategy discussions are obviously the result of being there and doing that. It frequently helped in comprehending the competitive choices made during the tournaments. At the same time, Sampson shows his readers the human side of a true sports legend. That perspective has not always been faithfully portrayed in sports biographies, and it should be appreciated. His portrayal of the social, physical, and mental demands on Jones during the 1930 season is essentially sympathetic, and gives a useful perspective on the price one sometimes pays to compete at a very high level. Sampson also does a fine job in describing the social history of the time, placing Jones’ story in its proper context. The Depression was well underway in 1930, and Jones’ feat helped provide a welcome diversion to the troubles that befell most Americans during that time. This is a very good sports biography that gives a well-rounded perspective on its subject. I highly recommend it.